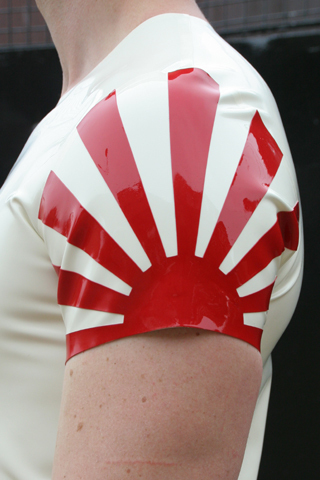 Rising Sun appliqué on both sleeves. A taste of the far east in this Japanese inspired look. Pull on T-shirt with reinforced neck and sleeve edges.